Today is the first day of the conference Jane Austen Superstar where I will be speaking about Jane Austen Fan Fiction, so I though it would be befitting to share with you a guest post by Don Jacobson, who has released in the last couple of years very different and intriguing JAFF works which not only are not canon, but also feature secondary characters. 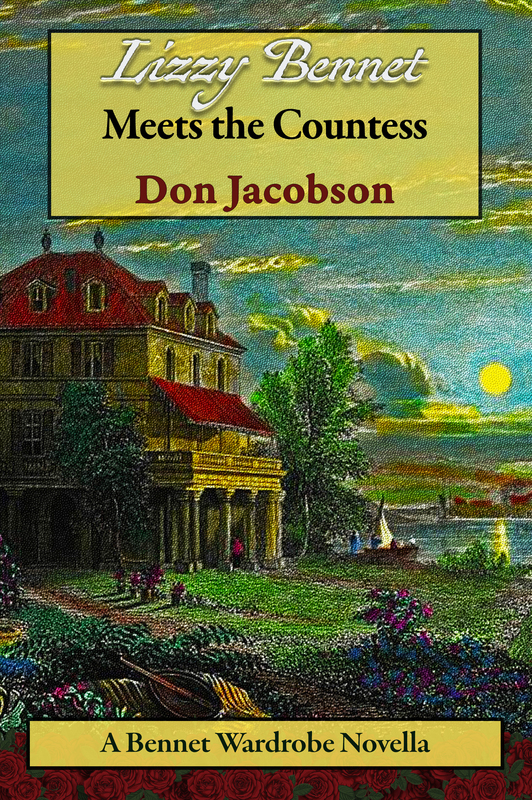 Don Jacobson is the perfect example that JAFF is not the same story being told all over again, it is a genre with many sub-genres that appeals to a vast audience who loves Jane Austen’s characters above all ,and who has standards that authors must meet to be accepted in the community. I must tell you that I am an adherent of the concept of solipcism that was used by the great master of speculative fiction, Robert A. Heinlein. Solipcism avers that the act of writing fiction creates the reality about which it is written. Thus, the moment that Jane Austen finished writing Pride and Prejudice, the universe in which it existed was created. ODSC’s Hyde Park is now as real as our Hyde Park. Lest you think I am thoroughly fey when I refer to the existence of the Bennet family as if they were real individuals living in a real world, interacting with real world (and also period-appropriate fictional) characters, that is how I see them. Doing so gives me the freedom to paint their portraits without forcing my readers to consciously suspend disbelief. As a result, I am able to create, as Weber said, webs of significance that inform the characters’ actions. I am able to establish ancestries and core experiences—traumatic and otherwise—that shape both primary and secondary characters. I do tend to hew closely to the Canonical description of the Bennets as a hinge point around which both the past and future revolve. Yet, those images established by Ms Austen are relatively thin…tending to offer the reader an immediate image of the characters in a slice of time. Mr. Bennet is an indolent father. Mrs. Bennet is a nervous twit. Elizabeth is, well, precocious and impertinent. Darcy, a creature of his social class, is reserved to the point of being anti-social. Wickham, on the other hand, is the absolute antithesis of Darcy in every aspect: easy in company, seeking physical pleasure in all ways—sort of an adrenaline junkie. Yet, in all cases here, Ms Austen offers little explanation of why they—the actual person—were formed in this manner. As for the secondary characters: Jane is the sweetest young woman to ever walk the face of the earth. Her soul mate, Bingley, is perfectly shaped for her in that he acts as “the new man,” happily and merrily enjoying the wonders of the new industrial age. On the other hand, his sister, Caroline, adheres so closely to rules and class-consciousness that she loses sight of her humanity. William Collins is a caricature (as is Lady C) of the moribund 17th and 18th Century English social structure that is in the process of dying in 1811. Back to the younger Bennet sisters—nearly invisible most of the time: Mary moralizes and scolds. Kitty coughs. Lydia is, charitably, a flirt. Each sits and glowers, hides in the shadows, or flounces across the stage whenever the author needs her to do so. Then they are dispatched back to Austen’s toolbox against the next time they are needed. As an historian, I have been trained to look for the discourse underlying the motivations of the actors making up our world. One often is better served to look at the individuals with whom the key players surround themselves. In other words…while Winston Churchill’s words are important, students of Churchill gain a better understanding of the man by looking at the nature of those who allowed him to act upon his inner impulses. The same goes for ODC. Lizzy and Fitzwilliam could not move through Regency England as they did without others. For those “others,” I immediately gravitated to Mary, Kitty, Lydia, and, eventually, Thomas. I first started by asking myself: Why are they acting the way that they are in this twelve month window we see in P&P—roughly 1810-11? Was Mary emotionally abused as a child because she was less attractive than Jane or Lizzy? What terrified Kitty so much that she feared ever taking control of her life? Was Lydia so spoiled by her mother that she was irretrievably broken? Why did Thomas turn away from his responsibilities to the estate and his family in spite of the entail? That naturally led to another question: What happens to Mary, Kitty, Lydia, and Thomas after the double weddings? Is Mary destined to live the remaining fifty-odd years of her life as a moralizing prude? Will Lydia turn into a pathetic woman of a particular age still trying to act as if she is seven-and-ten? Will Kitty be a non-entity, always in the shadow of others as “the girl who coughs?” Will Thomas ever become the pater familias or will he always avoid parenting? Having written professionally for forty-plus years…and having become an avid consumer of JAFF by 2014…things began to turn creatively in my mind. Maybe it was the intersection of my youthful fascination with speculative fiction and my mature appreciation of Austen and 19th Century fiction—that threw the idea of the Wardrobe up in front of me. Now my protagonists could be immersed in different timeframes beyond the Regency to learn that which they needed to learn in order to realize their potentials and, in the process, carry the eternal story of love and change forward to even the 21st Century. The Bennet Wardrobe acts as something that is instrumental to create the circumstances for the entire scheme of things. What this does is give the Wardrobe itself agency—a form of control that determines where Bennets must go to discover what they must. This also, therefore, confers a sort of intelligence upon the Wardrobe. In a way, the Wardrobe becomes a character, although not one that is often seen. And, as with characters, that implies that the Wardrobe has a deeper purpose for being present…something that we will discover if we continue to research it, the travels of its users, and their destinies that they themselves chart. The Bennet Wardrobe Series is a collection of novels, novellas and stories exploring how the Wardrobe impacted the lives of all members of the Bennet blood line growing out of the “wilds” of Hertfordshire. The entire series will encompass six master novels, two of which have been published thus far. The books ought to be read sequentially as one story tends to grow from the next. Likewise, some characters appear in the foreground in one book with the same scene being presented in another book from a different point-of-view that will have them now moving through the background. There will be additional novellas as the need dictates. Here are the novels of The Bennet Wardrobe Series as they have been published/projected. Let us take a look at each of the four books currently available in the order in which they were published. The Keeper begins with an exploration of the origins of the Bennet Wardrobe in 1690 allowing readers to understand the roots of the Bennet Wardrobe Universe. With both Jane and Lizzy married, The Keeper follows Mary Bennet as she emerges from her cocoon after December 1811. Yet, even as she overcomes her troubled teenage years and Canonical prosy nature, she is challenged by her sudden and total love for a man who mysteriously appears on the night of a great calamity. The Keeper follows the life of Mary Bennet as she matures from the caricature familiar to JAFF readers into a confident young woman looking to make her mark in the rapidly changing world of the Industrial Revolution. Novel of 110,000 words in both print and e-book. Time is bent once again in 1883 as Viscount Henry Fitzwilliam uses the Bennet Wardrobe to seek his manhood. He travels over 30 years into his future to the middle of the most awful conflict in human history. His brief time at the Front teaches him that there is no longer any room on the battlefield for heroic combat. It is his two weeks spent recuperating at the Beach House in Deauville where he encounters an incredible woman, one who will define his near 10-year search for the love of his life after he returns to his own time. This brief Pride and Prejudice Variation grew from the author’s efforts to sketch the events that shaped the personality of Henry Fitzwilliam. The young Viscount becomes a central character in The Exile: Kitty Bennet and the Belle Époque. Novella of 20,500 words in e-book only. Longbourn, December 1811. The day after Jane and Lizzy marry sees young Kitty Bennet called to Papa’s bookroom. She is faced with a resolute Mr. Bennet intending to punish her complicity in her sister’s elopement. She will be sent packing to a seminary in far-off Cornwall. She reacts like any teenager—she throws a tantrum. In her fury, she slams her hands against the doors of The Bennet Wardrobe. London, May 1886. Kitty Bennet tumbles out of The Wardrobe at Matlock House to come face-to-face with the austere Viscount Henry Fitzwilliam. Henry still fights his feelings for another woman, lost to him nearly thirty years in his future. And Miss Bennet must decide between exile to the remote wastelands of Cornwall or making a new life for herself in Victorian Britain and Belle Époque France. The Exile (pt. 1) is an 86,000-word novel detailing Kitty’s life from the age of seventeen to twenty-two. 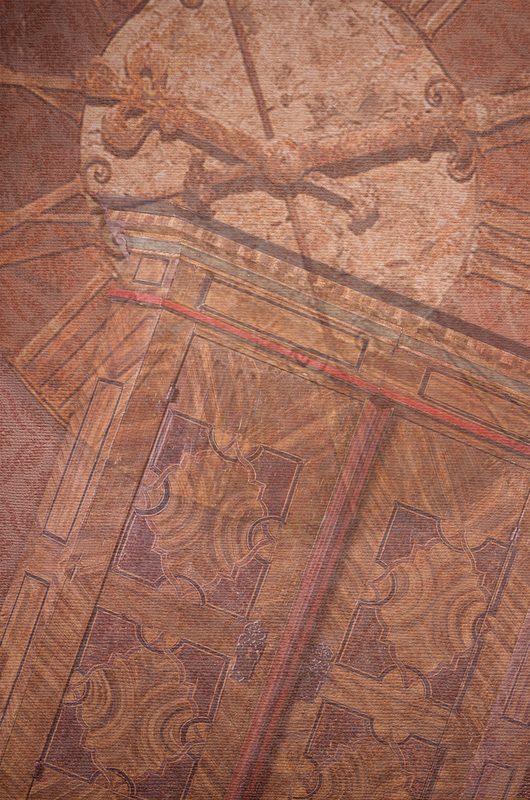 June 1801: The Bennet Wardrobe’s door to the future was opened in the bookroom at Longbourn. This time the most impertinent Bennet of them all, Elizabeth, tumbled through the gateway. Except she left as a ten-year-old girl who had been playing a simple game of hide-and-seek. Which Where/When was her destination? What needs could a young girl have that could be answered only by the Wardrobe? Or were the requirements of another Bennet, one who began as younger, but had aged into a beautiful, confident leader of Society, the prime movers behind Lizzy’s journey? After Lizzy is transported back to 1801, Lizzy Bennet Meets the Countess moves forward to 1816 to what may be considered the greatest writers’ workshop in history. T’was at the legendary Villa Diodati on the shores of Lake Geneva that Lord Byron gathered Mary Godwin, and Percy Bysshe Shelley for a vacation. Oh, Fitzwilliam Darcy and his wife, Elizabeth, were also present to act as catalysts that would transform vague ideas into timeless storytelling. 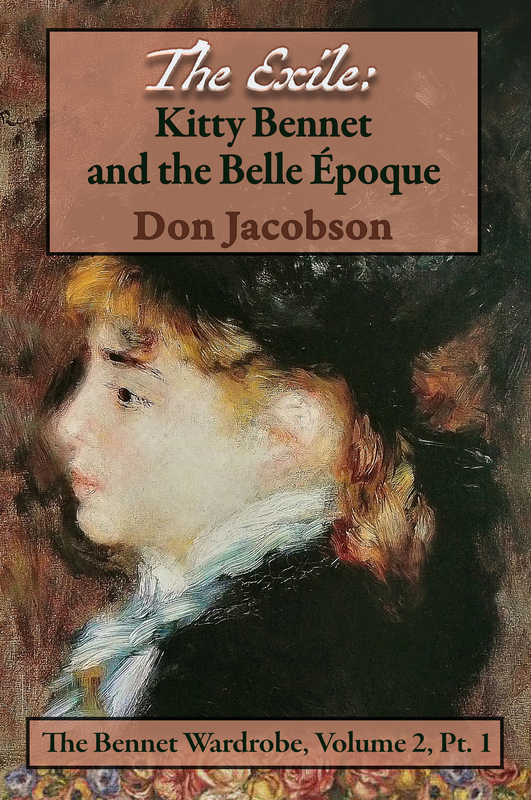 Lizzy Bennet Meets the Countess considers brief window of time between the end of The Exile: Kitty Bennet and the Belle Époque in 1892 and the beginning of Henry Fitzwilliam’s War in 1915. Novella of 41,000 words available in print and e-book. This series sounds so interesting and inventive. I do not own this first book in the series yet so would love to win so I can start reading the books in order. Thanks for the giveaway. Well, one can hope that you will be in luck here. Thank you for your kind notes. I have this series on my TBR and have been wanting to read it! “The Keeper” is the start point. Hope you will join for the ride as we go rather than waiting for 2019! I love the concept that as soon as its finished in writing, like P&P, that a new world has become real. 🙂 I love that Don brings out the minor characters in these wonderful adventures. SR…thank you for your notes! I am about 70% finished with crafting Part 2 of the “Kitty book.” “The Exile: The Countess Visits Longbourn” explores many elements that lay beneath P & P and The Wardrobe books…like I explain the Entail! Hope to have it done before the end of the year! I am drooling to read this series!! I also do not own the first book in the series, so I am delighted to see a giveaway!! Thank you for your gracious generosity. an excellant book. But I already have all 4 books just wanted to cheer you on. I will take the kudoes! Appreciate your support! The concept for this series is one of the most extraordinary I’ve seen in the Austen fan world. Kudos to Don for his creative originality! I have the first book, so don’t enter me in the giveaway. Thank you JH!!!!! I am blushing and bouncing around my dining room (propriety be darned!) at your approbation (yes, I am going to smoke the keyboard as grading is done!) of my efforts. Readers will discover many “entry and exit” points as characters move about the plot in a non-linear manner. (No Spoiler)…For Instance: in “The Keeper,” Mary Bennet exits her bedchamber to go downstairs after her revelatory walk up Oakham. Observing Thomas bidding adieu to a distinguished lady, she remains upon the landing and overhears her conversation. In Part 2 of “The Exile” that same event is viewed from the opposite perspective by the two characters downstairs. Mary is barely noticed. Beyond being an advocate of solipcism, I am also a fanatical admirer of trying to offer readers the sense that they are experiencing simultaneous action instead of sequential plot. Admittedly the sense of simultaneity is accomplished over different books (action) instead of different paragraphs (as with thoughts). However, I draw my inspiration for this technique from the great film director Krzysztof Kieślowski who created three films (Bleu, Blanc, Rouge) with both separate and simultaneous action that appeared in all three motion pictures. Hi…for those who would like an excerpt, I have posted one at my blog. Thank you for your explanation on TheWardrobe series. I like the statement that the world of P&P existed when it was published. These characters are truly timeless. I have not read Vol 1 and would really like to. Thank you for the giveaway. It is quite interesting to think that time to the future will allow these characters to learn what they must do today. EE…appreciate your kind notes. Yes, The Keeper encompasses the beginning of the Wardrobe saga. But, lest you get lost in the grand arc, please recall that The Keeper offers clarity on Mary’s growth…as well as some very intriguing insights into others in the family. Many people on Goodreads who are JAFF lovers have enjoyed this series, but I have just been fixated on Elizabeth and Darcy. But, for too long! Would love to read your series after reading your thoughts on it. Best wish, Don! Thank you so much. I hope that you will find that the Lizzy and Darcy adjacent characters have remarkable stories to your liking. Never fear…Elizabeth will be found in various spaces of the Wardrobe Universe! I find your interview material extremely interesting and have very much enjoyed your books. Thanks for the pleasure. You are very welcome. I am working to finish Kitty’s line…and gettijg ready to look at Thomas! Just as I have seen all the Star Wars movies, but not in order (I know, sacrilege, right), I have not read your books in some sort of order. I need to revisit them after I judge the RITAs for RWA in early January. Thanks, RJ. BTW…you are one of my “angels” who are always ready with some helpful pointers and research. I truly believe that you help me offer my authentic voice to the JAFF community! Next one is working its way through the system. At moments I believe I am 75% through…and then I am back at 60%! I am only offering my most exuberant praise for the series. I don’t need to be entered into the giveaway. I’m just here to hopefully ‘kick-in-the-pants’ anyone reading this into getting started ASAP. I’ll allow you all to get through the holidays and find some desperately needed down time for yourselves. But then, ‘get-on-the-stick’ people. You will not regret it. My goodness I love this series. (You couldn’t tell, I’m sure, could you?) I cannot wait until ‘The Exile: pt 2’ comes out. I’m going to use my down time after the holidays to reread the series thus far. Worth every minute. MH…or should I call you “Sloane?” Thank you for the enthusiastic endorsement. You, BTW deserve a quick nod having donated to Hurricane relief and earning a cameo in “Lizzy Bennet Meets the Countess!” Hope you and the “Captain” have a wonderful Christmas. Ha. Blush. Endorsement completely deserved. No nod, thanks, or otherwise needed. That charity Austen Authors used, Americares by the way, checks out quite highly rated. I’m very grateful to have been introduced to that organization. Looking forward to a very lovely Christmas and I am returning the wish for you and yours. This was a great post and I enjoyed reading and learning. Thank you for sharing your thoughts, Don. Thanks, Rita, for hosting. I appreciate you both. No need to enter me in the giveaway as I already have the book and enjoyed it immensely. (as well as the others) This is a series that is incomparable. I’m waiting for the movies to come out! 🙂 Don, you have quite a talent to keep this all in your head and write such an imaginative story with many facets that all fit together like a perfect puzzle. I’ve read this whole series, except Lizzy Meets the Countess. Very intriguing story!! I echo Janet’s opinion. Although I find it quite hard to understand certain aspects of the series, it would be fun and enjoyable to read a time-travelling series. Thank you for writing this in-depth guest post, Don.